Though the series will be premiering in the US on CBS All Access, Netflix and CBS Studios International today announced a landmark international licensing agreement for the new Star Trek television series. Netflix will be the exclusive premiere home of Star Trek in 188 countries (excluding the US and Canada). Each episode of the new series will be available globally within 24 hours of its U.S. premiere. Additionally, all 727 existing episodes of the iconic Star Trek television library – including Star Trek: The Original Series, Star Trek: The Next Generation, Star Trek: Deep Space Nine, Star Trek: Voyager and Star Trek: Enterprise will be available on Netflix around the world by the end of 2016. In Canada, the rights to Star Trek have been acquired by Bell Media with the rollout for the new series will mirror the launch in the U.S. The first episode will premiere on Canada’s most watched broadcast network, CTV, on the same night as CBS. All remaining episodes will initially be televised on Bell Media’s cable networks, Space (in English) and Z (in French), and then later exclusively on CraveTV, Bell Media’s streaming video-on-demand service. 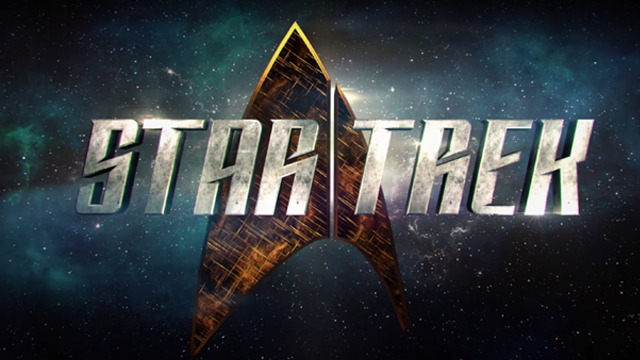 The all-new Star Trek will begin production in Toronto in September for its January 2017 premiere. The iconic and influential global franchise will return to television for the first time since 2005 with a new ship, new characters and new missions, while embracing the same ideology and hope for the future that inspired a generation. Alex Kurtzman and Bryan Fuller are co-creators and executive producers for the new Star Trek series, based on Gene Roddenberry’s original series. Fuller launched his career writing for Star Trek: Deep Space Nine and Star Trek: Voyager. Kurtzman is co-writer and producer of 2009’s Star Trek and its follow-up Star Trek Into Darkness. The series is produced by CBS Television Studios in association with Kurtzman’s Secret Hideout, Fuller’s Living Dead Guy Productions and Roddenberry Entertainment. Alex Kurtzman, Bryan Fuller, Heather Kadin, Gretchen Berg & Aaron Harberts, Rod Roddenberry, and Trevor Roth will serve as executive producers.